The name Thievery Corporation conjures up visions of Mafia, Pirates and other organized criminals, but actually, this outlaw-image does not quite apply to the DJ & producer duo formed by Rob Garza and Eric Hilton in 1996. The best link that can be made to their appellation is that they borrow freely from any genre of music, mixing bits and pieces of the world's sounds together to create something completely new. 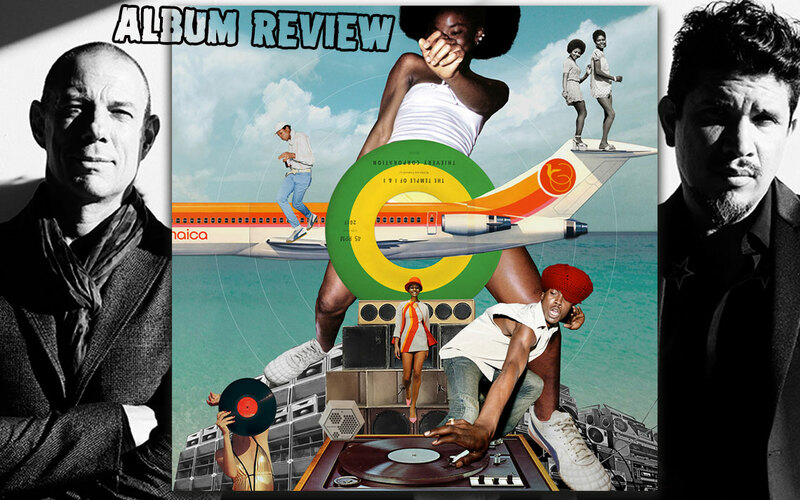 Thievery Corporation has been described to do Trip-Hop, Electronica and Downbeat, but Jamaican sounds clearly have a prominent place in their output as well. Much more so in their most recent release The Temple Of I & I, their seventh studio album to date, most of which has been laid down and recorded at the Geejam Studio in Jamaica. "The innovation, spirit and power of Jamaican music is a constant source of creative manna for us," explains Eric. "On the musical map, Jamaica is an entire continent. Frankly, we could have spent a year there, soaking up the vibes in the air and the strength and resilience resonating from the people." A discovery they made during their recording sessions in Port Antonio is singer, MC and model Racquel Jones, who was swiftly incorporated on the tracks Letter To The Editor and Road Block. The latter is quite explicitly Reggae, as are Strike The Root, True Sons Of Zion and Babylon Falling (sung by band-member Puma Ptah), but they all carry a distinct Thievery handwriting, dub and reverb and all. Others, such as the title track The Temple Of I & I or Let The Chalice Blaze, are so electronic/ dance that they lose me a bit, despite their Rasta-related textual snippets. Lyrically denser are pieces like Ghetto Matrix rapped by Mr. Lif, Weapons Of Distraction or Drop Your Guns. The tracks have in common the pure humanitarian viewpoint of their creators, because for Eric and Rob, "humanity transcends tribe and culture.". Word! A host of singers, most of them known to Corporation fans from previous releases, enrobe the 15 tracks in a colourful blend of deep, high, strong, soft and altogether pleasant voices. Thus, Zee opens the release with Thief Rockers, Lou Lou adds some French musings in Time And Space, Shana Halligan laments that Love Has No Heart and Elin has to Lose To Find. The most industrious artist here is Notch Howell, a US-based Reggae vocalist of South American and Jamaican descent, contributing four songs. The Temple Of I & I might not be a collector's item for conservative lovers of Reggae music, but it certainly does bring Reggae music to the attention of a huge variety of Thievery Corporation fans. And this is one of their biggest achievements, as they themselves state on their homepage: "We have been extremely privileged to work with artists of all cultural, social and political backgrounds, and our fans display even greater diversity and age differences. The people who have come together through Thievery Corporation are as much an accomplishment as the music we've produced to date and will continue to produce in the coming years."